Introvert and Their Habits While Driving - It could be that everyone has different habits while driving, and some even override the standard and usually do the actual behavior is dangerous. For example, driving while using the phone or driving without a seat belt. But, what about introvert? 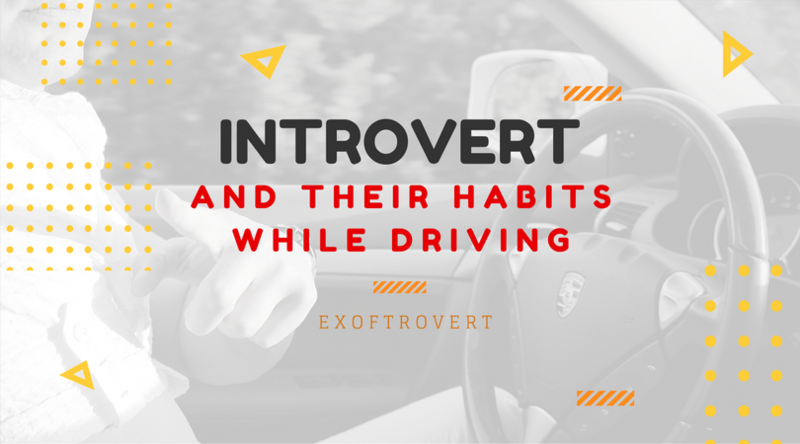 How is the introvert's habit in the car? Read also: The Introvert in a workplace and in a relationship. Apparently one of the reasons is due to the influence of habits and personality. Here are some whims of a car or two-wheeled vehicle that reflects the personality of a person. Quoted from Mrs. Titasya, writer of Inovasee, it is how introvert and extrovert's habits while driving car. You are familiar with the car must know how it feels to hold the steering wheel and steering, moving it to the right and left to move the vehicle. Apparently, the way you hold the steering wheel or the steering wheel can reflect your true personality. People who like to ride a vehicle with a steering wheel with one hand, indicating he is a person who likes to do many things at the same time. In other words, you are a relaxed person and can focus on many things. But still, steering wheel with one hand can endanger the driver. Conversely, if you always hold the steering wheel with two hands, you are the driver who always focuses on one thing and worries easily, indeed the introvert. Not just how to hold the steering wheel, while you are sitting on the steering bench also signifies some things. One of them is proof that you are a relaxed or rigid person, can also show how your mood is while driving. The backrest in the car seat is made for you to drive in a relaxed manner. But if you do it by bowing and holding tightly the wheel, it means you are experiencing anxiety or worry, which is mostly an introvert. When that happens, try to take time for relaxation and refresh the mind. The street is an area that can sometimes affect a person's emotions. If you include people who like to drive the vehicle at high speed even do not like to be preceded by others, then you are a passionate person, strong competitive spirit, and jealousy. You also include people who are very fond of adventure and new things, including also have properties that do not want to be regulated and restrained by the rules. Indeed extrovert and the introvert is an opposite. So what if you include people who are accustomed to adopt "Slow but sure"? This means that instead of taking the risk of danger because it is moving too fast, it's better to slow down. Instead of fast, but the risk of accidents is too big it's better just slowly. You are such a person with a soft and unyielding nature and personality. But on the other hand, also often hesitate in many choices of his life. You also tend to be easily influenced by others and of course very careful in doing something. Guess who is it? Lol. That's some of the whims of being in a vehicle especially a private car. 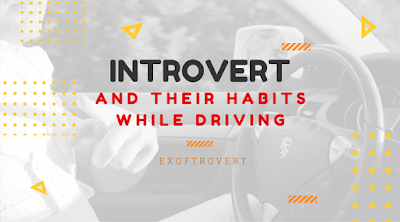 Of course, I think you already know which are the introvert habits while driving car, aren't you?